A boutique hotel designed especially for cats! 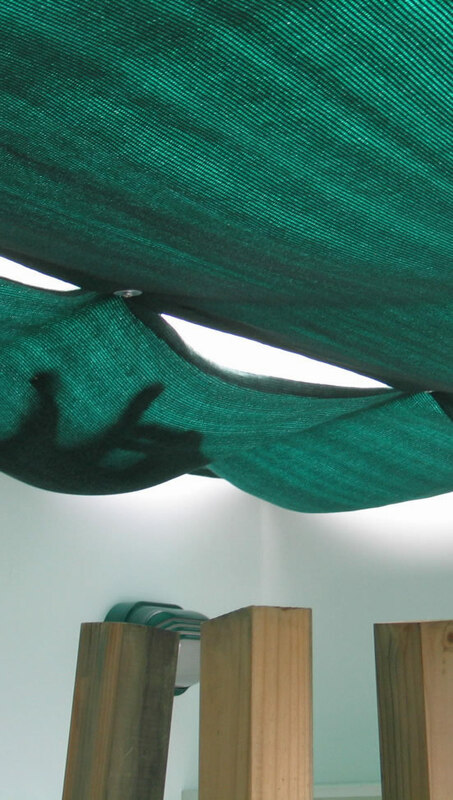 We have aerial walkways, boxes, hiding spaces, cat-sized furniture, cat toys, cat trees, cat tunnels, individual ‘catios’, outside spaces, baskets, a cat grass ”salad bar” and more! 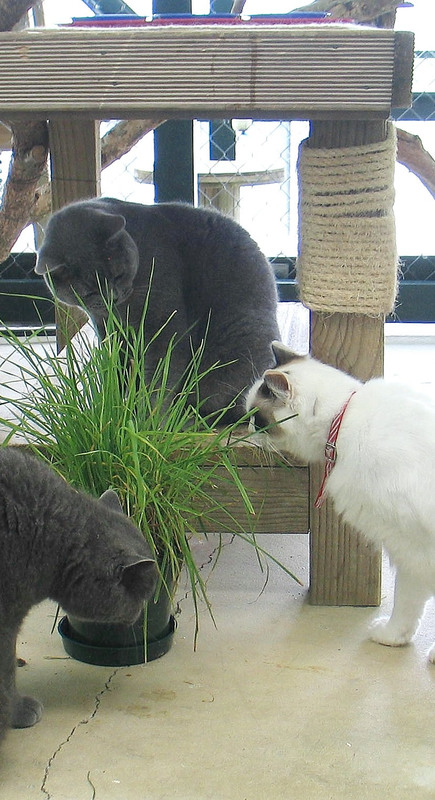 We offer a fun and safe space for your feline friends to enjoy their vacation, with a climate controlled environment (cosy in winter and cool in summer), and the added security of a monitored fire alarm system and humans living on site. We also use Feliway diffusers in the building to help our guests feel at home. All activity is overseen by Jeremau-ah and Tony Macaroni, our resident cat managers/quality controllers, who may meet and greet you when you visit. Choose the accommodation type best suited to your fur friends: we offer quiet rooms for shy cats, larger suites for couples or families and party areas for those who like to mingle- and room service is always gratis! There are individual rooms for all our guests and also a semi communal area for them to enjoy with plenty of toys and areas to explore. Private rooms with individual outside areas are available for guests who are happier on their own. We know families sometimes prefer to be together, so we also offer double rooms for family members to share during their stay with us. Check out our photo page to see Purrville Cat Hotel in action. Purrville is now on Facebook and Instagram! To book your holiday requirements with us please email us at bookings@purrville.co.nz or telephone (04) 4770878. Purrville is open for drop-off and pickup between 8:00 and 10:00 in the morning and 4:00 and 6:00 in the afternoon. If you need to visit us in between these hours please call us first on (04) 4770878. Please visit our other pages to see what we have to offer and to find out what we need from you. Purrville welcomes inspections, but please arrange an appointment with us first to ensure we are free to show you around. 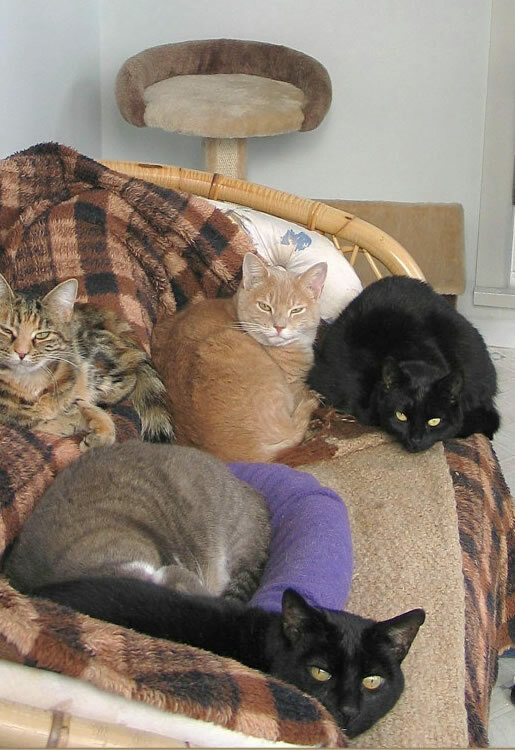 Purrville was first opened in October 2003 by Dianne Dannefærd and Robert Olley, in a building custom-designed to ensure your cat’s stay with us is both comfortable and entertaining. After 13 years of dedicated cat caring, Dianne handed over management of Purrville in 2016 to Annalise and Michelle , who continue to provide the same high standard of care and cuddles that our customers have come to expect. 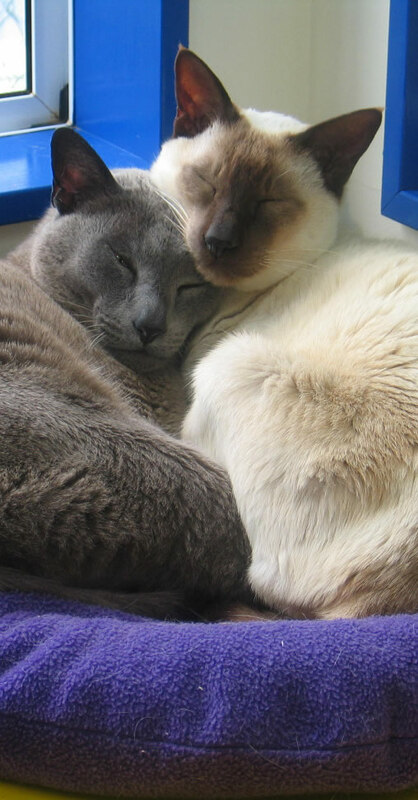 We are experienced ‘cat people’ who enjoy getting to know and caring for your feline friends. We offer a fully licenced, purpose-built cattery designed with cats in mind and have both trained in Pet First Aid and CPR by the PET First Aid & Training (NZ) Ltd.
We have taken over management of Purrville under the guidance of Dianne, original owner and cat minder extraordinaire, and we are so looking forward to getting to know you and your feline family. I have grown up with cats and kittens (and mice, rabbits, birds, frogs, fish! ), and have ‘cat-sat’ in some spectacular places around the world. My partner Matt and I are living on site, and living the cat dream! We share our home with two cats, twelve fish and four chinchillas. I trained as a nurse in Germany and have worked for many years in a dental practice in Wellington. I have always enjoyed looking after animals and have fostered kittens for the SPCA . I currently share a home with my human family and two dogs in Days Bay. Jeremau-ah the Egyptian Mau and Tony Macaroni the Burmese assist us to the best of their abilities and inclinations. We look forward to welcoming you to Purrville!